URBNSURF has begun the process of developing three surf parks so far. Sydney’s Olympic Park (“URBNSURF Sydney”), Tompkins Park, Alfred Cove (“URBNSURF Perth”), and the latest at Melbourne’s Tullamarine Airport (“URBNSURF Melbourne”). They’re not stopping in Melbourne. They’ve set their minds on creating ten surf parks in Australia by 2028. Whether or not URBNSURF already has other locations in mind is unknown. Including Surf Lakes in Queensland, Aussie’s will have four world-class, man-made waves before we hit the year 2020. Surfers aren’t the only ones that benefit from surf parks popping up around Australia (and the world). The development of URBNSURF Melbourne is expected to generate over 300 jobs during the construction phase. Another 50 full-time jobs will be available once the facility is operational. Assuming the same numbers for the other URBNSURF locations that’s nearly 1,000 jobs and 150 full-time positions. The Tullamarine Airport is using URBNSURF Melbourne as a kickoff for what they’re calling a new “experience center”. They would like to bring a whole new industry to the area, resulting in hundreds of more jobs later on. Aussie’s will have four world-class, man-made waves before we hit the year 2020. This will be the first commercial surf park in the world to host Wavegarden’s “Cove” technology. Something that surfers around the world have been drooling over ever since they introduced it to the surf world. 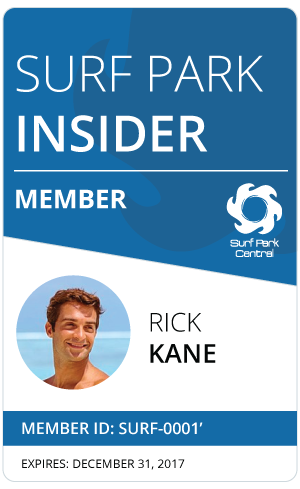 We will keep you updated on all URBNSURF projects and future job openings for each of the surf parks in Australia, as well as the world.